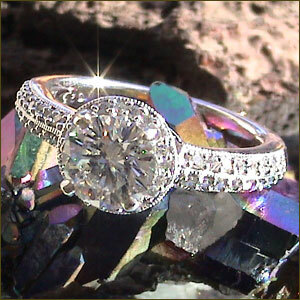 Wedding and engagement rings are our specialty. We select the finest certified diamonds for your engagement and wedding rings. We help you choose the best diamond for your money. We will also work with you on producing that perfect ring. The possibilities are endless. The Anniversary band is a wonderful way to express your love and affection. We have a fine selection of classic anniversary bands in white, yellow and pink gold and in platinum. We can also create with you, a perfect ring to represent all that your anniversary is about.